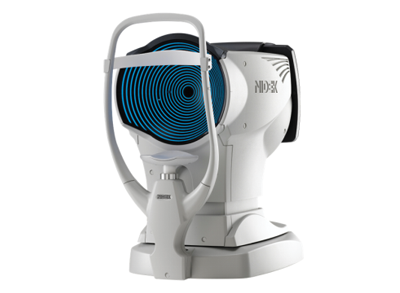 The Diopsys Nova ERG (Electroretinogram) and VEP (Visual Evoked Potential) is an instrument that places our practice on the cutting edge of disease management. This instrument which is still nearly only present in specialty clinics is a great example of our practices commitment to providing our community with access to the best technology available in eye care. 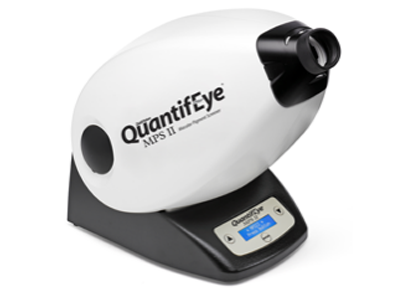 This devices allows the measurement of how well the optic nerve (The nerve that connects the eye to the brain and transmits sight) and retina (The sheet of receptors that collects light in the back of the eye) are conducting signals. 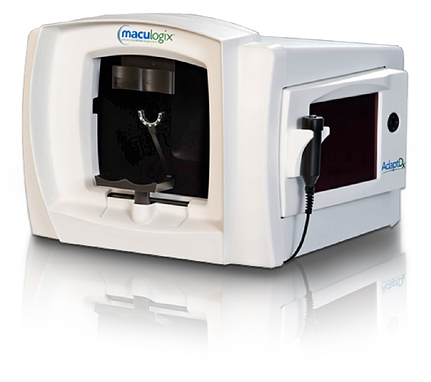 This devices goes beyond finding damage and gives information on how stressed the receptors are giving our doctors the ability to treat conditions such as Glaucoma before damage has even occurred as well as see how well the treatment is actually working once initiated. 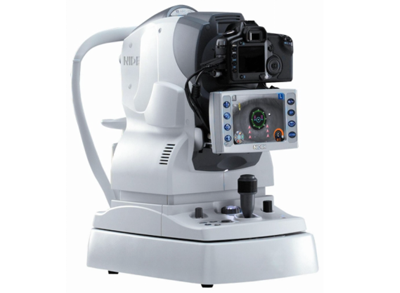 The innovative AFC-230 is an extremely high resolution, digital fundus (back of the eye) camera. The 21.1 megapixel image ensures that a wide range of ocular conditions can be comprehensively documented such as diabetic changes, macular degeneration, glaucoma, and other anomalies. 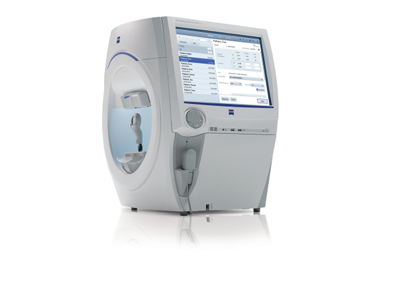 This advanced Auto Refractor is an instrument that estimates the refractive power of our patients. 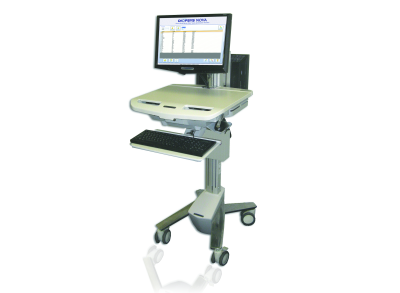 The doctor uses the information from this instrument as a starting point in evaluating the patient's prescription. 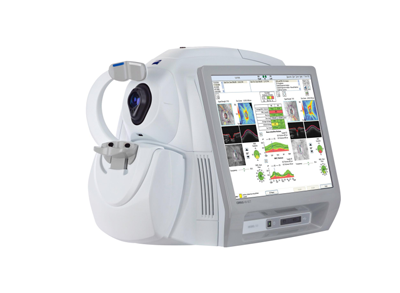 This instrument also offers a variety of other parameters such as a topographic map of front portion of the eye which gives advanced information to diagnosis and monitor several conditions. 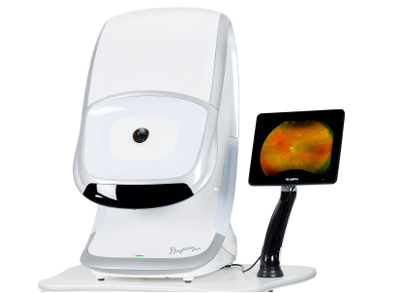 The Optos Daytona is retinal mapping system that captures an unparalleled panoramic image of the inside of the eye allowing us to monitor conditions that occur around the outer edges of the retina (or the back of the eye). Each of your eyelids are lined by large oil glands called meibomian glands. These glands are responsible for producing the oily layer (One of the three layers of your tears) of your tear film. Commonly these glands can become blocked and in some cases irreversibly damaged leading to an unstable tear film and eventually Dry Eye Disease. 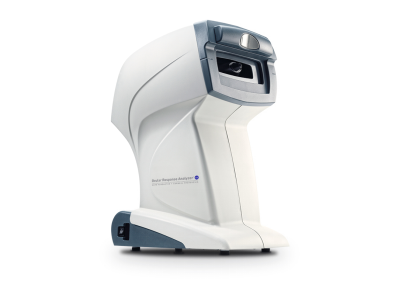 This new technology allows our practice to scan your glands at every examination to ensure we catch disease at its earliest stage and safeguard your vision in the future. If the meibomian glands (the oil glands located in your eyelids) are found to have obstruction or damage further evaluation of your eyes and glands will be recommended. If your doctor feels intervention is required to save the glands and protect your eyes from dry eye disease or to improve your already existent dry eye disease, Lipiflow will likely be a major key in this therapy. 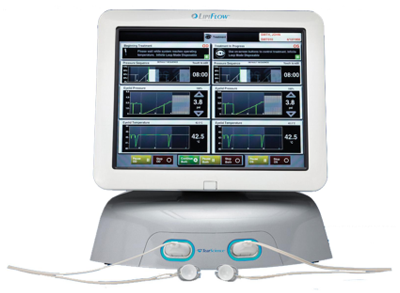 Lipiflow is the most effective and only FDA approved instrument to wholesomely and safely treat the eyelids by extracting the clogged material trapped within the meibomian glands. The device fits over the eye much like a contact lens and applies heat to the inside of the eyelid while also applying a comfortable but effective amount of pressure to the outer eyelid. 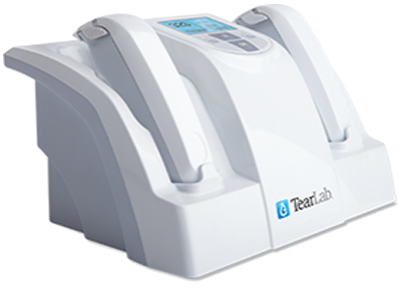 TearLab is an instrument used frequently in Dry Eye Disease management. It gives the doctor information on if and how well a treatment is working. The instrument essentially gives an accurate measurement of how “salty” the tears are (It measures Osmolarity). In dry eye disease generally speaking the patient either has too few tears or tears that are unstable- in either case the tears spend less time on the eye and evaporate more rapidly. When the watery layer of the tears evaporates it leaves salt behind. Because of this we know the higher the salt concentration the worse the quality of the tears and the worse the Dry Eye Disease. 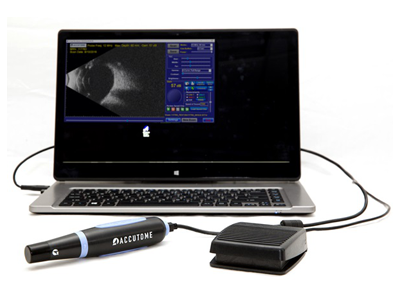 Ultrasound Technology even has its place in eyecare. 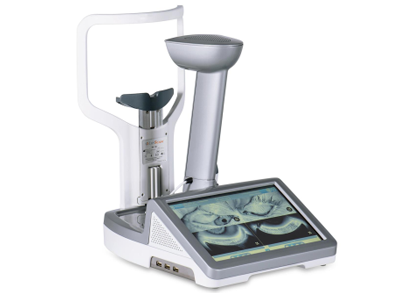 Though used less frequently this technology is very useful in certain clinical cases. For example, this instrument allows us to measure freckles in the back of the eye (Called Nevi) to help gauge their cancerous risk. It also allows us to gain a view of the back of the eye to ensure all major structures are intact when no view could otherwise been had. Those are just two of the more common examples of its clinical usefulness.